Wodiyars of Coorg were the Hindu kings of Kshetriya stock who had periodically battled the Muslim rulers of South India. They were allied to the British during the push by Tippu Sultan of Mysore. The uncle of the last Raja, Dodda Veer Rajendra (r.1780-1809), was even captured by Tippu Sultan and imprisoned until his daring escape. The last Raja Chikka Veer Rajendra (r. 1820-1834) ruled more due to the blessing of the British bestowed on him in gratitude to the loyalty shown by his uncle than any real talent he himself possessed. His subjects hated him as he was a cruel debauch. I unearthed the fascinating tales of two sisters, daughters of Veer Rajendra, when per chance I read that Maharajah Jung Bahadur Rana had married a daughter of the last Raja of Coorg who went by the name of Princess Gangamma. She is mentioned once or twice by similar sources as having come to Nepal where she was known as Ganga Maharani. What happened to her once she came to Nepal, did she have children, did she ever meet her family members again, when did she pass away, these are the many questions I sought answers for as most of our books on history have amnesia. Then I suddenly found a story on Dr. Henry Ambrose Oldfield in Nepal. He was the surgeon posted at the British Residency in Kathmandu in the mid nineteenth century. He was probably one of the first allopathic medicine man in Nepal at a time when the few educated and privileged were treated by hakims while most of the populace sought jhankri shamans for thrashing the hell out of obtrusive diseases mostly caused by the evil eye. Dr. Oldfield had visited the palace of Maharajah Jung Bahadur Rana at Thapathali to operate on an abscess on the abdomen of Ganga Maharani. He had performed surgery from behind a curtain so that he would actually never see the face of the maharani! I never found out whether the good doctor cured her of her ailment. Another reference I had on Ganga Maharani was from a letter Margaret Oldfield wrote to her husband Doctor Oldfield from Kathmandu during the marriage of Jung Bahadur's daughter from Maharani Hiranya Garva Kumari to Wali'ahd or heir apparent to Nepal's throne Trailokya Bikram Shah. On this occasion the good doctor was visiting his home in England. She describes at great length how she and Mrs. Byers, the resident's wife, were invited by Maharajah Jung Bahadur to Thapathali Durbar for the wedding reception. She writes about the personal attention Jung gave them, his introduction to four of his wives and how his principal wife Maharani Hiranya and Ganga Maharani of Coorg played polkas and waltzes on two pianos to entertain them. She also claims that the Coorg Maharani was the best looking of the lot. Voila! so Ganga Maharani was alive and well at least until June 1857. Margaret Oldfield writes further, "The Coorg Ranee wore a most lovely tiara of diamonds and emeralds, in the form of a large bunch of flowers, very like those belonging to the Queen of Spain in the Exhibition of 1851, but much more splendid." The Raja of Coorg had lost his throne in 1834 A.D. when the British decided that enough was enough of his misrule as some sources point out. The Raja had valiantly withstood the British offense on his palace and even pretended nothing had happened as he left his kingdom for the last time, loyal subjects lining the streets in a triumphant farewell. He decided to stay in Benaras and the British allowed him a princely pension of 6,000 Pounds per annum. Of course, Coorg would generate many times more in revenue. It was in Benaras that Princess Gangamma was born around 1842 and her elder sister Princess Gouramma was born a year earlier. They were born from different mothers as the old Raja had not lost his virile old ways. Now let us look at the fortunes of the elder sister. She was a beauty and the favorite of the old Raja, "a pigeon among crows" he would extol as she was of a very fair complexion. Raja Veer Rajendra had now taken to the ways of the British enamoured by their more civilized ways in the eyes of the rulers and ex-rulers of India. Dress codes started changing and so did eating habits. Being Europeanized was all the rage in the high society of India. The ex-Raja of Coorg went one better: he wanted to visit England and to convert his favorite daughter Princess Gouramma to Christianity. He felt he had not been dealt a fair hand by the East India Company as compensation for his ouster and he wished to present his case directly to Queen Victoria. He left for England in 1852 A.D.
What happened in England was stuff of fairy tales as the story goes that Queen Victoria became fond of the beautiful Princess Gouramma and she had her baptized by the Archbishop of Canterbury in her private chapel at Buckingham Palace and gave her a new name: Princess Victoria Gouramma. There are many books on her life. The gloss faded and she was an unhappy princess. She married a British officer, gave birth to a son and died very early at the age of twenty three! In a quiet corner of the nineteenth century Brompton Cemetery in London lies the grave of the princess dating back to 1864 A.D. Her descendants are today living in Australia. 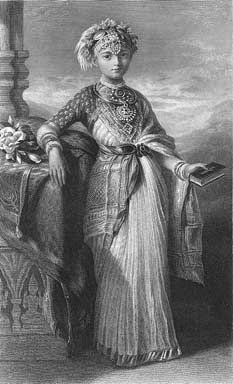 Scattered references to Ganga Maharani in volumes written about Princess Victoria Gouramma hint that she was happy in Nepal. Did she live a long fruitful life or was she out of place in the Nepalese court as her sister was in the British? Obviously she did not have children or else we would know about it. Rumor has it that she lived in Manohara, possibly in the palace of Maharaja Jung Bahadur's eldest son Commanding General Jagat Jung Bahadur Rana. Will we ever know with certainty what her story is? Can you share more details on Princess Gangamma. Interesting read. Princess Gowramma is buried in London by the way. Very interesting.. What got you interested in Princess Gangamma.? She was also known as Mudama Mussamat. The only non-Nepali wife Jung Bahadur had she disappears after coming to Nepal. She interests me because of the sin of ommission and lack of scholarship from our historians. I am pleased to read your interest in Princess Victoria Gowramma and Princess Gangamma. I am the author of the book - 'Victoria Gowramma: The Lost Princess of Coorg'. 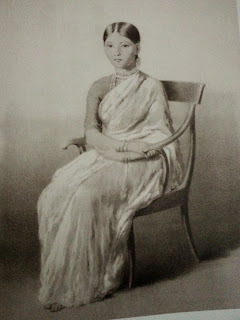 Princess Gangamma married Jung Bahadur Rana in 1852. Sometime in 1858 Jung Bahadur took her younger sister Muddamma (Mudama Mussamat?) to Nepal with the intention of marrying the young princess when she came of age. However, Muddamma was very unhappy and returned to Benares. 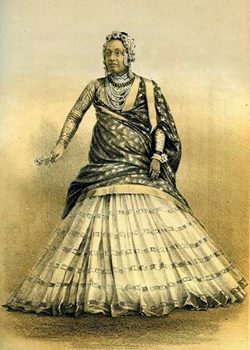 She latter married Raja Raghubir Singh Judeo of Maihar. Dear Mr Subodh, Just read your comment. I got most of the details from various recordings by the British who lived in India and Nepal at the time. I also got some inputs from the direct descendents of the Raja of Coorg who now live in Hyderabad. I have given all the details in my book. It will be too lengthy to reproduce. "A tale of two sisters" would be an apt title for this article. Who would have guessed what the future held for these sisters. Well written.